Owning your own home is an important and some would say essential part of the American dream. However, once you've invested the time and hard work to save up enough to be able to finally afford your dream home, you might find that you are faced with a lot of difficult choices about the real estate where you could potentially spend the rest of your life. One of the most important of those choices is whether to buy a house or build one yourself. Here are a few reasons why building a house can be cheaper than buying one. An important factor that could heavily influence your decision about whether to build or buy is how much of a hands-on person you are - or aren't. If the details involved in serving as your own general contractor don't scare you, building your own home is probably the right option for you. By using your own two hands in the construction process, you can save an arm and a leg on the construction costs. You might not be able to do all the work yourself, but being able to contribute your own manual labor toward even a few things here and there can help you save big. Hanging the drywall, installing the plumbing, or even just drawing up the building plans are key parts of the process where you might be able to cut costs by rolling up your own sleeves. 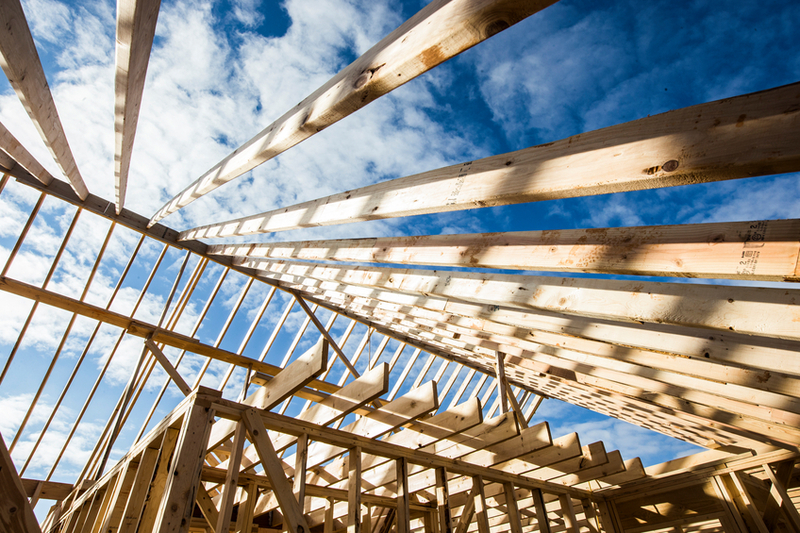 Although you may still pay a slight markup for the building materials, you will be paying a lot less for labor. Doing it yourself also gives you more control over the building process. Being your own general contractor gives you the power to decide what materials are used and which people are hired to install them. If you draw up your own floor plan, you may even be able to arrange the living spaces to be able to incorporate some of the furniture that you already own, which will save you from having to buy new pieces. Because new homes are built with new materials, you probably won't have to spend a penny on renovations for a few decades or more. When you buy an older home built with older materials, you run the risk of investing in materials that may already be nearing the end of their shelf lives. Renovations are a regular part of buying pre-existing homes and can be often be a hidden cost that blindsides you when you least expect it. When you build your own home, you won't have to live with the constant fear that something might break down. Another thing you get to decide when you build your own house is whether or not to connect to city services such as water and sewer. Many times, especially in more rural areas, it will be cheaper in the long run to dig your own well and septic tank instead of connecting to the city's services. If you are flexible about these two things, it could end up saving you big in the future. New homes usually come with a home warranty of some kind from the builder. This warranty will cover any defects in craftsmanship or structural integrity and will usually keep you safe from having to pay for any repairs in the case that something does break down. Home warranties should be backed by insurance and should explicitly state damage and coverage limitations. Building your own home can sometimes be cheaper than buying a pre-existing house. Building instead of buying gives you control over the building process and the layout as well as peace of mind about the results. Due to the newer materials and the warranty, building your own home can also be safer and more environmentally conscious. 1) financing can be difficult to obtain because of current mortgage crisis. 3) It can take from four months to six months to build a home. This is a long time to wait and things can change while you are waiting to move. 6)You may have some limitation in the style of home you can build within your price range. 7) Some legal issues need to set between you and the builder. Make sure to read documentation carefully and consult an attorney in your state for legal advice, if necessary. 8) You might be asked to do the construction loan on the building process if the builder does not do this for you; or you have to hire someone. These are some of the challenges if you desire to build your house; your choice depend on which disadvantages you do not want to face.